Hello, all. Today we have a found prompt. I decided this year, in an effort to extend the life of my blog and possibly my brain, that occasionally I will look to others for prompts. For our first official one [as I have adapted many that came originally from my mentor, many of which he adapted from…], I am adapting an idea that comes from Bonni Goldberg, in her book Room to Write. She titles her exercise, ‘With or Without Wings’. I have been fascinated, nay, obsessed, with Icarus almost from the moment I started writing poetry. Thanks to Douglas Robertson’s art and offer to allow me to use one of his pieces as inspiration, I finally have my Icarus poem. Am I asking you to write about Icarus? No. After all, if you aren’t obsessed, what fun would that be? Icarus is the ultimate metaphor for flying, as a metaphor. It’s complicated. I want you to write about flying, literally, or figuratively. Even if you have never set foot in an aeroplane, everyone has experienced the sensation of flying, in some form, the tetherless, free, soaring feeling, even if your feet never leave the ground. In some measure, anything involving great speeds can give you the feeling: roller-coasters, galloping on a horse, racing cars, or sprinting. For me, what must be the closest to the feeling of flying is scuba diving. The first time I put on a tank and submerged, able to breathe in the water, I thought, this must be what it is like to fly. For me, flying is freedom. Flying is also metaphorical: It has to do with taking off, ascending, soaring… Before we ever had ways to reach the sky, flying was a central image in literature (Goldberg, 44). Think of ways you have flown, emotionally. Maybe, when you won an award, or when you knew you were in love, or you achieved a personal goal. For me it is the moment a poem comes together. For that moment I soar. Your task is to list all the different ways you have flown, moments when you have soared, times when you felt you touched the sky. See if there are common threads, where you might want to bring a couple of things together. Jot notes on anything that makes your brain perk up. You will want specific imagery and strong verbs and nouns. Then, ask yourself how the poem should look and sound. May you write an Icarus poem? Pfffttt. Of course. I shall see you Thursday for some links; Friday for the week’s prompt roundup; and next Tuesday for a — wow, did I just have a senior moment. I got up to get the file where I have prompts, came back towards the computer, saw the light on in my husband’s computer room, went in, turned it off, thought to myself I might as well pick up his towels, tossed them in the dryer, thought breakfast might be good, made toast, pulled the garbage out to remind me, looked up and saw the prompt folder near the computer and thought, s___, I haven’t finished my blog. I can hear my mother laughing, now — so, where was I? Next Tuesday’s prompt probably will have something to do with a sense of the land. Good day, to you. I am so happy to have a poem. Of course, it happens on a morning when I am going out and can’t sit and enjoy my rounds, but… [shrugs shoulders]. No title as yet. Process pretty simple. As soon as I had copied the words, I began to join them with phrases. When I knew I was talking about poetry, bob’s your uncle. For new people, this was created from a collection of words that we find every Sunday over at The Sunday Whirl, thank to Brenda. Be sure to visit and see what others have done with the same words. listening to Ally Ally Oxen Free by the Kingston Trio… that takes some of you back, doesn’t it? Hello, all. I hope our New Yorkers and New Jersey Shorers are hanging in. It was good to see you posting. We are going to have a different focus for the next four, or five, weeks: narrative. So many of you participate in NaNoWriMo that I thought it might be interesting for you to have specific exercises to try as you go. I do realise that this may result in a month of no poetry for us to read. Horrors! So, for those of you not participating, or those who want to keep the poetry going, you know you can find poetry anywhere. Take a part of any exercise I post and craft a poem. If the title of an exercise prompts a poem, go for it, because what do we say? So long as we are writing! If you write a short fiction piece in response to any of the exercises, consider posting it, just as you do your poems. All writing welcome. We will start easy, with metaphor. Writing narrative does not mean all literary techniques go out the window. 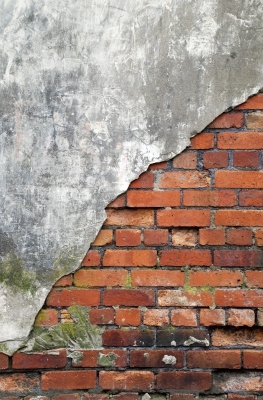 Quite the opposite, and metaphor is one of your most valuable tools. ‘Comparison is as natural as breathing. You hear a train and it reminds you of the ocean. You caress bark and remember your grandfather’s knees. You look at tributaries and see your veins. One landscape melts into another. It’s as if each time you encounter something it is imprinted over all the impressions that came before it; each impression is transparent. Draw comparisons between two things. Choose at least one from your surroundings. The other can be an object, a person, or an abstract concept like jealousy, love, fate. How many ways can you compare them? Go for at least twenty-five. Stretch yourself. If you have difficulty, try another pair. One of the things might come out of what you have written for NaNoWriMo, so far, or have in mind to write. Create a metaphor . . .
simile: indirect comparison? metaphor: direct comparison? NO! A metaphor provides the identification of two unlike things. x=y. The two things are not being compared, one to the other; the two things are each other. Comparison allows us to distance ourselves from the subject and allows, therefore, more direct comment. Examine a group. It can be your peers, your family, characters from your novel idea… Then pick a category: vegetables, gardening tools, types of cereals, holidays, birds, any category that comes to mind. Develop character sketches for each member of the group based on elements within your chosen category. For instance, if you choose vegetables as a category, write about what type of vegetable your character looks like or acts like and why. You will be surprised how much you will learn about your characters. What kind of animal are you? What qualities does that animal embody that you identify with temperamentally? Describe yourself as this creature. How does being this animal affect the way you write? You may also apply this to a character. Again, it aids in development. Consider what kind of weather corresponds to one of your characters: snow, lightning, rain, fog, a summer storm, whirlwind…how far can you take the comparison: mood, thought pattern, appearance, what the character likes to do for fun… Have you noticed, in novels you read, how often the author describes the weather. Authors often use the weather as a parallel to what is happening to a character, or to the plot. Give these a try. It might be messy and sprawly, but words you will have. Consider posting one of your comparisons, so we can see what everyone has come up with. Poet people not into narrative, you can take this exercise almost exactly the same but you won’t apply it to a character and you will produce a poem, yes? Above all, have fun. I shall see you Friday for the prompt roundup. Thursdays are dark until January, unless you have a question you want me to explore. This goes for narrative as well, particularly in the area of structure. Next Tuesday, we might have a more out there exercise in metaphor, or we may start playing with structure… or point of view. There’s so much. In fact, if you would like me to see whether I have a narrative exercise that addresses a particular aspect of fiction, let me know. This was such fun, as well as being useful. I went through all my notebooks collecting lines, and making notes of poems I wanted to work on but had forgotten. I indulged myself, picking favourite lines that I had not been able to make work anywhere but am attached to, the sorts of lines about which Stephen King would say: ‘Kill them now’. No title yet. her ears. Her soul is a black beetle too tired to fly. Thoroughly indulgent, she said, with a big smile of satisfaction. My process amounted to taking lines I loved and copying them exactly and then finding an order that works. Thank you to We Write Poems for the prompt. If you haven’t seen the prompt, go on over; while you are there, read some of the results. Routine does change when a partner is home at an unusual time, doesn’t it? I’m not listening to anything right now [our flat is tiny and I dislike ear/headphones] and I’m a trifle late in getting this going. But, I am here, so let’s rock and roll. 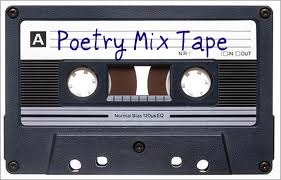 On The Poetry Mixtape Donna has a post that particularly intrigued me. She says, In every poetry workshop I have ever attended, I have been warned to stay away from the “of machine”. Go on over to find out what and why, to read a poem by Elizabeth Bishop, and to be tempted by a fun of machine challenge prompt. As with all Saturday prompts, the new prompt will be up tomorrow, or you can wait for next Friday! Whichever, visit. Joseph Harker gives us Reverie Thirty-six: a matter of perspective where he asks us to apply the elements of cubism to poetry. Fascinating, yes? He tells us, What is arguably most important in Cubism is the fracturing of perspective, and looking at an object from multiple directions at once. This is fun. Go read and then play with this. Imagine your poem sounds like a Cezanne, or Picasso, looks. Over at The Music In It: Adele Kenny’s Poetry Blog, Adele wants us to explore the days of the week: Most importantly, capture the essence of one day of the week in a poem. To read all the possibilities, and to be given links to corresponding poetry, visit. At The Sunday Whirl, Brenda found our words from a wonderful children’s book, 14 Cows for America. Visit to see the wordle and to read what others have done. At Carry On Tuesday, Keith gives us the opening of a quote from Aristotle. Head over to see the subject matter. Visit Magpie Tales for our first image prompt, a painting by Fernand Leger. Can you say, Cubism? If you are not struck by an idea right away, make sure you have read Joseph’s prompt and check Leger, or cubism, in Wikipedia. Mary M, at Poetry Jam, reminds us that small moments, while they can get lost against the background of large events like 9-11, can play as important a part in the direction of our thinking, our lives. She tells us to pick your moment…any moment…and capture it poetically. Visit to read the prompt. Wonder Wednesday gives us a photograph of the rainbow man. Visit to see what Carolisle says about him and her suggestions for writing. Visit just to see this wonderful character. Carolisle’s blog post that follows tells a little about him. Over at imaginary garden with real toads, we have A Word With Laurie where she has a particularly lovely and fun word to challenge us. Head over to read what she says. There are other interesting challenges. Wander through the gardens. Go play with the toads. We Write Poems wants poem leftovers. Yay! Go on over to read the rest of the prompt. This requires serious playing! dVerse is wonderful for many reasons, not the least, their discussions on form. This week they tackle the sonnet, known amongst poets [in the past] as the queen of poems, because it is so difficult to write a good one. What a reward when one does. Stay awhile; it’s such a friendly place. Patricia K. Lichen, Author, in her Weekend Haiku & Limericks has at least one article, and one photograph to use as prompts for a haiku, or a limerick. The images of flowers, alone, are worth the visit. Patricia’s site has the feel of walking on a beach, or through a forest. A comforting feel to it. Your Serendipity @ Thursday Thoughts is if you have something you want announced: publication of your work [because you are shy about saying anything on your blog, or because you need us to buy your book! ], an article you think we will enjoy, or find interesting, a writing contest, a workshop… anything to do with writing, really, send it along. If it is time sensitive, be sure and tell me. You can give me your announcements either in the comments section, or email me: margoroby@gmail.com. The other use for Thursdays is to discuss an aspect of writing that you want to discuss, or know about. Send topics, or questions! I shall see you next Tuesday for a prompt on truth and memory; next Thursday for a serendipity of whatever; and next Friday for the Roundup.